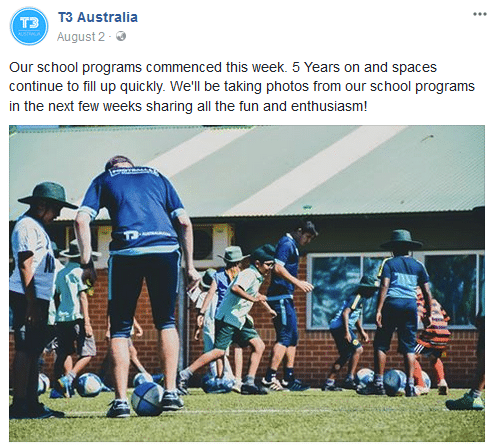 T3 Australia is an Australian football organisation empowering the grassroots level of football. A grassroots organisation (not academy) dedicated to increasing the standards of grassroots (non-elite) football. T3 Australia came to Firewire Digital to increase their reach and following on Facebook. 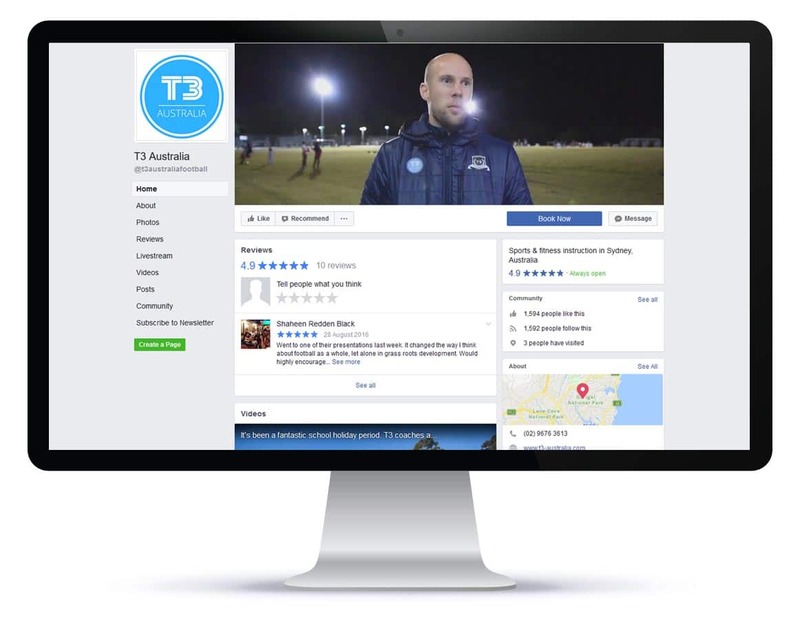 Firewire designed a customised Facebook strategy for T3 Australia. We created a strategy that T3 could execute designed to engage current followers and attract new followers. The strategy focused on creating visual, including photos and videos of T3's core programs. 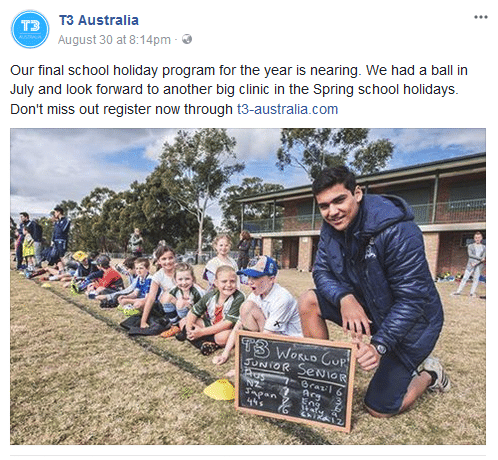 The customised Facebook Strategy delivered a significant increase in follower engagement and drove a substantial increase in new followers.Firewire Digital's efforts have successfully expanded T3 Australia's reach by over 20,000 people.